Significantly revised and updated since its first publication in 1996, Absorption Chillers and Heat Pumps, Second Edition discusses the fundamental physics and major applications of absorption chillers. While the popularity of absorption chillers began to dwindle in the United States in the late 1990’s, a shift towards sustainability, green buildings and the use of renewable energy has brought about a renewed interest in absorption heat pump technology. In contrast, absorption chillers captured a large market share in Asia in the same time frame due to relative costs of gas and electricity. In addition to providing an in-depth discussion of fundamental concepts related to absorption refrigeration technology, this book provides detailed modeling of a broad range of simple and advanced cycles as well as a discussion of applications. 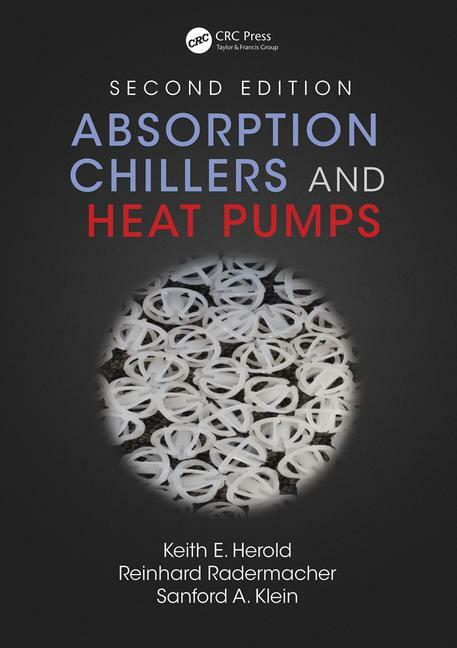 Absorption Chillers and Heat Pumps, Second Edition provides an updated and thorough discussion of the physics and applications of absorption chillers and heat pumps. An in-depth guide to evaluating and simulating absorption systems, this revised edition provides significantly increased consistency and clarity in both the text and the worked examples. The introduction of the vapor surfactant theory is a major new component of the book. This definitive work serves as a resource for both the newcomer and seasoned professional in the field. 13. Applications of absorption chillers and heat pumps.